The ethylene produced in Kavian Petrochemical Complex injects ethylene in to the West Ethylene pipeline and at the moment provides the feedstock needed for 7 petrochemical complexes, senior official said. Managing Director of Kavian Petrochemical Complex Ramezan Ouladi made the remarks in an interview with Shana. He explained the status of delivery of feedstock to the West Ethylene Pipeline and said after commissioning the second phase of the Kavian Petrochemical Complex, 7 petrochemical companies are now receiving feedstock from the West Ethylene Pipeline. The official noted that with commissioning of the second phase of Kavian Petrochemical Complex, the Lorestan and Kermanshah petrochemical complexes were provided the ethylene feedstock they need. Mahabad Petrochemical Complex is also fed with the feedstock provided by the Kavian Petrochemicla Complex now, he said. Ouladi noted that Ilam Petrochemical Complex is another company which receives 40 tons of ethylene feedstock from this complex on a daily basis. The Kordestan Petrochemical Complex pre-commissioning process has been finished and according to the official sources, it will be ready to receive ethylene feedstock in the next month, he noted. 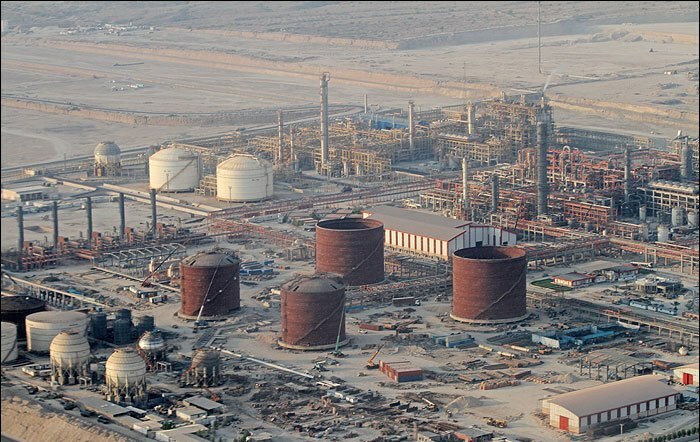 Ouladi said that Kavian Petrochemical Complex is one the largest Ethylene producers in the country with the capacity of 2 million tons of production. The ethylene produced in Kavian Petrochemical Complex injects ethylene in to the West Ethylene pipeline which passes through 11 provinces and is expected to provide the feedstock needed for 12 petrochemical complexes, he added. The official said that the excessive amount of Ethylene feedstock will be used in the Mahshahr Especial Economic Zone petrochemical companies. Parts of ethylene feedstock produced will be delivered through another pipeline to Arvand, Ghadir and Amirkabir petrochemical complexes. Kavian Petrochemical Co. (Kavian P.C. ), registered under No. 255100 in the Registration Office is a subsidiary of Bakhtar Petrochemical Company (BPC). The main objective of BPC as a holding company which was established with the investment made by NPC and other private investment companies is to organize and arrange the financial resources and ascertain correct implementation of western petrochemical projects. Kavian P.C., founded in 2005, is responsible to supply the required feedstock into the Western Ethylene Pipeline for other projects established under Bakhtar Petrochemical Co.